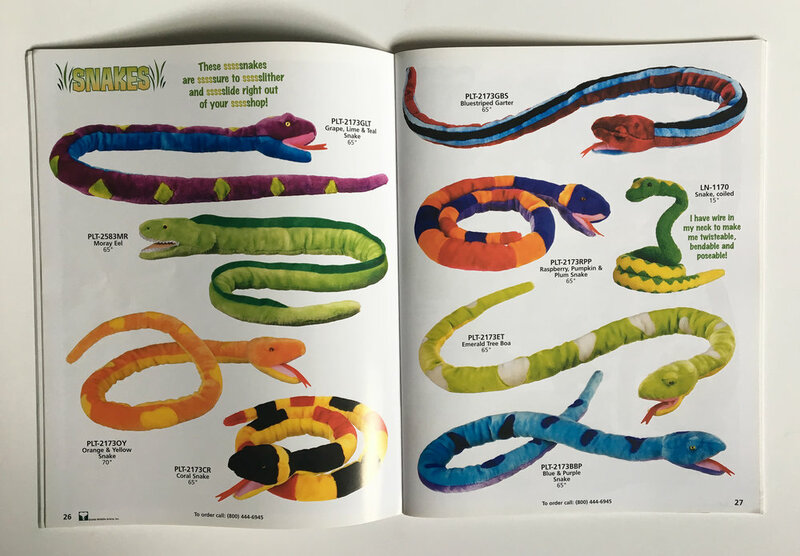 Wildlife Artists sells plush wildlife-themed animals and other toy merchandise, and their primary market is zoo and aquarium gift shops and outdoor retailers throughout the world. 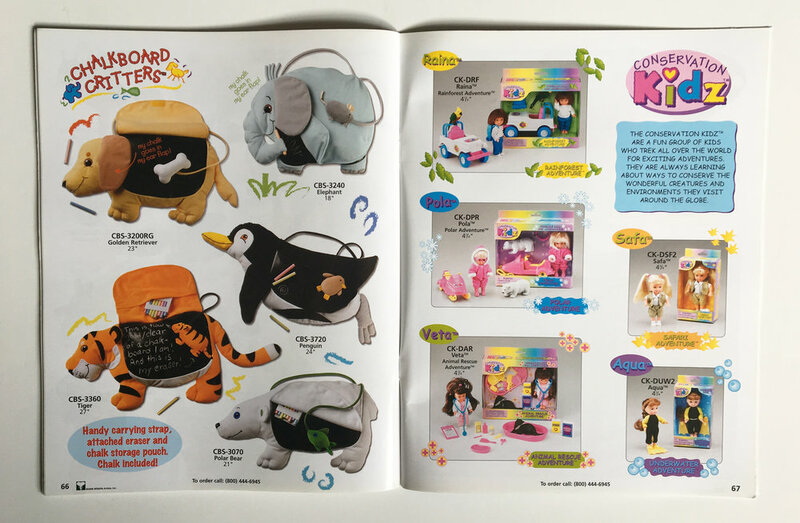 They wanted to use this catalog as a resource for their sales staff, both to mail to buyers, and also to use as a reference tool when meeting with them during sales calls. We wanted to highlight the "family" aspect of the company, and asked children of the Wildlife Artists team to be the models to show the various products. I art directed the photo shoots, and created all graphics and layout and print supervision for this catalog, and additional annual catalogs for this fun client. Several of the branded lines needed hangtag or logo artwork, and I created or art directed these as well.